Polk is not a new player in the market. The brand has been around since the 1970s and specializes in manufacturing consumer audio systems. The company has a reputation for paying close attention to every detail of its products. Perhaps this explains the popularity of their products. The company is riding on its latest TSi series of speakers. The TSi series bookshelf loudspeakers are characterized by advanced technology specs, elegant designs and come at pocket-friendly prices. 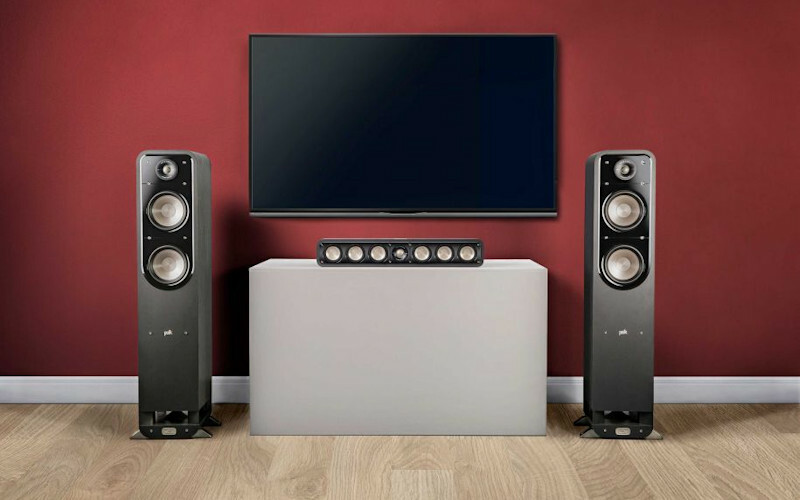 One product that belongs to this series is Polk Audio TSi100 Bookshelf Speakers. Before you buy the speakers, take your time to go through this comprehensive review. Polk Audio TSi100 is quite different from other bookshelf speakers. For instance, it has a unique arrangement whereby the high-frequency tweeter is coupled up with the low-frequency driver. According to the manufacturer, the main reason for doing this was to encourage the production of quality and authentic sound. The silk dome tweeters of the speaker are made of high-quality polycarbonate. These tweeters are capable of producing a clean and detailed sound. There is no distortion even when the sound is on high volumes. Polk TSi100 bookshelf speakers feature a unique technology known as the flared port venting system. The main function of this system is to minimize the noise that is produced when unwanted air gets into the speakers. The system facilitates the smooth flow of air in the speaker. In doing so, it gets rid of the excess noise that is produced when you play the music at high volumes. The speakers come in two design options. You can choose a sleek black speaker or you can go for the woody cherry speaker. The speakers sport a simple design that matches with their small sizes. The minimalistic design means that they can easily blend with any room. Another unique feature of the TSi100 is its construction. The speaker is made of a solid medium-density fiberboard (MDF) which is enhanced by inch baffles. In addition to providing the much-needed strength, this construction eliminates the internal resonance of the speaker. This simply means that it minimizes the vibrations which are known for absorbing the excess energy from the speaker. With no vibrations, you can be sure of enjoying the clear and quality sound. There will be no background sounds that are produced by the frames of the speaker. The compact construction makes it possible to operate within top-end volumes without worrying about the vibrations. So, how do Polk Audio TSM00 bookshelf speakers perform? The performance of any speaker depends on various factors. One of these factors is the frequency. The frequency response of Polk speaker ranges between 53Hz to 25kHz. This range gives the speakers power to give optimum results at high volume. Despite being small in size, the speakers are able to produce satisfactory bass levels. In fact, they outperform many speakers that fall under this category. The TSi100 speakers produce clear treble and you can hear every detail of the sound including the separation of instruments. The detailing is quite good both at the low and high ends. All the music genres are presented accurately without some kind of distortion or noise. Elegant design with two color options that you can choose. Compact construction makes it versatile. Produces detailed and clear sound. Cheaper than most speakers in the same category. Compatible with many electronic gadgets. Quite heavy for their size.